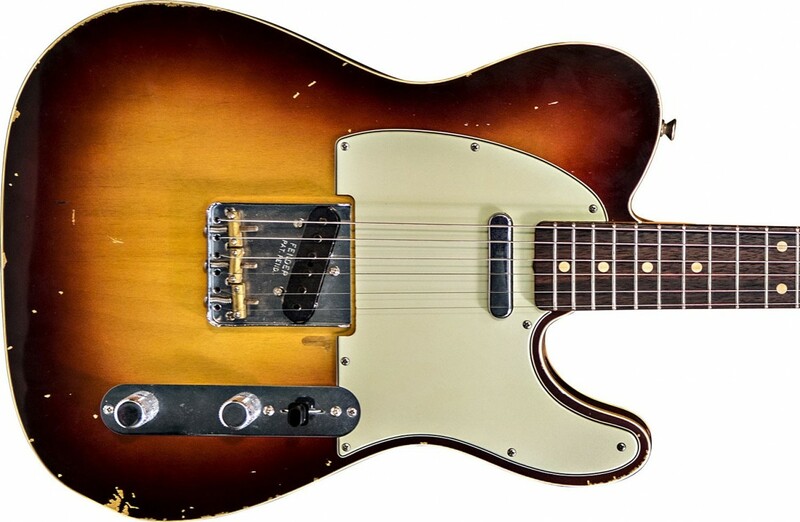 Imagine Classic Tele* sound produced by the 1960's white-edgebound Custom Tele with single coils. These AVn-60 series pickups give you a Caricature sound of those very rare guitars that you too can have for your Tele. The 60's Custom set is bright but never thin, has excellent definition, twang, dynamics and high end chime. Great for chickin pickin country lead or any other classic Tele style. The middle position of the switch sounds better than the original Telecaster. Imagine the best Telecaster tone that you can remember; this set has more body & girth which means they never sound thin or excessively bright unless you want them to by increasing the amp's treble control. The sound has very nice complex Alnico midrange detail.... and has Zero-Hum and zero microphonic whistle. Other features you will be delighted with is the superb dynamic range and balanced string levels. 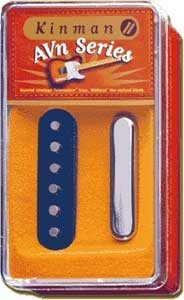 The all NEW Gen-2 version neck pickup is very different to it's original 1st generation predecessor. The taller coil, longer magnets and Kinman's patented magnetic focusing device produces non-aged sound which is much more alive and open. The sound has more pronounced twang and increased dynamic range for more fluid touch sensitivity (strings feel more relaxed). It's louder and brighter too so it will have to be adjusted somewhat away from the strings to balance with it's companion AVn-60b bridge pickup. Thanks to our new Chrome plated Nickel-Silver cover the neck pickup is not muffled as the original 60's Fender was, has open and clear Fender sound (real Chrome plated for extra durability and does not produce buzz when touched with fingers). It has an arched top to allow staggered magnets for superb string loudness balance including the G-3rd. This set has Kinman's propriety Alnico low strength magnets, like all our Fender type pickups, so string pull is minimized, sustain is longer and there is less rattle and buzz from the strings crashing into the frets from excessive magnet pull. Unique design preserves the original appearance of the bridge pickup with Period Correct black cotton twine coil binding and the neck pickup with it's real Chrome plated metal cover.